View 3,000 Photos Back to 12-15-2001! 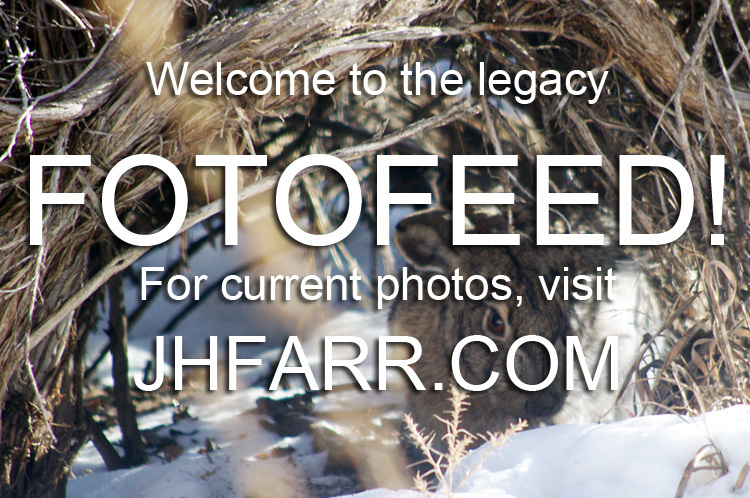 • FotoFeed features almost 3,000 images, and you can view almost ALL of them sequentially, backwards or forwards . The current WordPress site goes back to June 14, 2009. On that page is a link to the last page of the preceding site, which goes all the way back to December 15, 2001. • To see all photos starting from the present, just hit the "Previous Entries" or "Previous Post" links and work your way back. • Unfortunately, you can't go forward from the oldest page (12-1-2001). But you can go from forward starting from January 5, 2006. From the preceding page, however, you can only go backwards to the beginning. Confusing, I know. • The Photos by Category, Archives, and Search FotoFeed menus [right] only apply to the current site, going back to June 14, 2009, but you can find all kinds of interesting things. • You can also use the Sitemap pages to search for photos at the current site by category and titles in a list format. Try it!